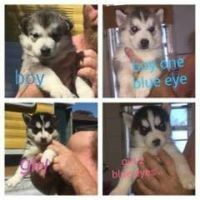 Siberian Husky breeders links and breed information on pups4sale.com.au. pups4sale testimonial: Thank you for your site and and all the help you have given me since joining. 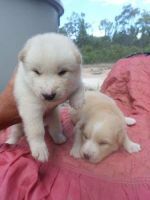 It has made many people happy including myself to be able to sell our puppies on your wonderful site. Besides being one of the most beautiful creatures on the planet, the Siberian Husky is also a great pet when in the right environment. Siberian Huskies were originally bred to be full-time work dogs, but over the last century or so have become accustomed to doing less work and more playing with the families they live with. Many people want to own a Husky someday because of their beautiful, wolf-like looks, but they are considered a tough breed to raise unless you know what you're doing. Of course, those who do know what they are doing end up with an amazing animal new family member. Siberian Huskies are medium-sized dogs, with females growing to be 20-23 inches tall and weighing up to 50 pounds, and males at 21-24 inches tall and weighing up to 60 pounds. They have medium-sized heads with slightly long muzzles.There are many things that people notice about the majestic Siberian Husky when they first see it, but most people remember their eyes more than any other feature. Most Huskies have bright blue eyes that are always on alert. Some Huskies have brown eyes or one blue and one gray, but those are considered rare.All Siberian Huskies have thick coats to withstand very cold climates, and their hair is medium in length. They can be found in many colors, with the most common being white and black. Behaviour: Siberian Huskies are very rarely aggressive or shy, so they get along with just about anything that moves. They are incredibly intelligent from the moment they are born, so while they are playful when around their families, they are also very aware of their surroundings. It's an alertness that stays with them their entire lives.There aren't too many howls like a Husky's howl, which can be heard from miles away. Surprisingly, though, they don't bark very often. They will howl to communicate to other dogs, but they will stop if told to by their owners.Siberian Husky puppies need to be taught not to dig early on in their lives or they will destroy yards and gardens. It is in their nature to dig so they can keep comfortable in high wind areas, but they can be taught not to do it at a young age if they aren't going to need to use that ability in the future.Siberian Huskies are considered to be a fantastic family pet because of how great they are with children. Not only do they love to run around and play with kids, they also naturally recognize when they need to be gentle, so it's very rare for a Husky to even knock over a very small child on accident.Siberian Huskies have been working with other dogs since they were first bred, so they get along with any dogs that want to be their friends. They will run around for hours with other dogs and have a very clear understanding of how to act around both shy and outgoing dogs.Many people assume that Siberian Huskies are great guard dogs, but the reality is that they are very trusting of both people and other animals, so they often won't quickly realize when there is real danger.If you want to see a kid in a candy store type of personality, just let a Husky loose in an open field or a big backyard. This is where they are happiest, which is why they are not the best dog to leave at home alone for a few hours. It's okay if they are left inside by themselves for a few minutes, but they will get frustrated if they know everyone else is outside and they have to stay inside. Training: Siberian Huskies are extremely intelligent dogs, so some owners will have troubles training a Husky because they will constantly try to outsmart you. With good training, they will learn to look at their owners as their pack leaders and will trust that what they are learning is important.Obviously Siberian Huskies can learn a lot of commands considering they have been trusted by people to pull them through mountains and very cold weather. It's not necessarily easy to train them, but someone who knows what they are doing can teach a Husky a lot of tricks and plenty of commands.One thing to look out for with this breed is their tendency to try to jump fences or find other ways to sneak away from the house. The only way to avoid this is to train them early before they get to the size where they can get away.First-time dog owners often won't get the full potential out of their Siberian Huskies, which is why they are recommended for more experienced owners and trainers. Of course, anyone who is willing to dedicate a lot of time to train their Husky can get the job done, too. 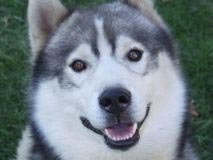 Exercise: More so than just about any other breed out there, Siberian Huskies need to run and they need to run often. 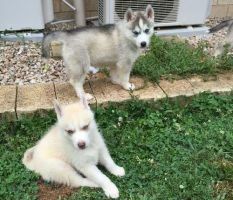 They have a lot of energy to burn off, so they need owners who want to run and play with them for several hours per day.Since Siberian Huskies were bred to have a lot of space to move around and run, they really do need a house and a yard to be content. Most Siberian Huskies these days are obviously not going to be pulling sleds full-time, so they need enough space so they don't turn into lazy dogs and gain weight. Grooming: Siberian Huskies are some of the heaviest shedders around, so owners need to be prepared for a lot of brushing each week. Not only do they shed on a regular basis, they also blow their coats twice a year to keep themselves comfortable as the climate changes.Huskies almost make up for their shedding by being one of the least dirty dog breeds. They prefer to clean themselves rather than get a regular bath, so owners only need to bathe their Huskies when it is absolutely necessary.Siberian Huskies also take care of their own toenails most of the time by simply walking on them each day. Of course, if they get too long, owners should make sure that they clip the nails before they make the dog uncomfortable.Even though Siberian Huskies have ears that stand upright, they are still prone to ear infections and other ear problems if they aren't cleaned regularly. An ear solution made for dogs will usually keep them from developing these issues. 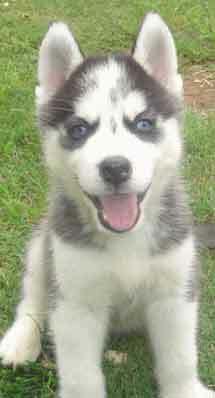 Health: Siberian Huskies generally live anywhere from 10-14 years. A couple of the most common health issues and diseases that are common with Siberian Huskies are epilepsy, cataracts, and hip dyspepsia.It's natural for any dog that lives a life full of running and moving around to develop hip issues, so it's not surprising that this is a common ailment for Siberian Huskies. They have an ability to run for hours on end, but owners should try not to over do it with them to avoid these kinds of issues. Who Should Own a Siberian Husky: There are a lot of people who would love to own a Siberian Husky, but the ones who should are the ones who have time to work with them every day from the day they are born until they are fully trained. Yes, Siberian Huskies will be happy with families that love them and feed them, but they need a lot more than that.While you don't need a huge house for a Siberian Husky to thrive, it should be big enough so it never feels cramped. It's also recommended that Siberian Huskies have a big back yard because they will often prefer a small hill to lay on during the day over any place in the house.You don't have to be a world class sprinter to be able to handle a Husky's running skills, but you have to have the time to take it on a lot of walks and runs. They’re adventurers, so going to new walking spots two or three times a week would be ideal for this breed. Who Shouldn't Own a Siberian Husky: There are a lot of people out there who think they can take care of a Siberian Husky, but learn quickly that it's a lot tougher than they thought. Anyone who is not willing to learn how to properly train a Husky is not a good match for this breed. 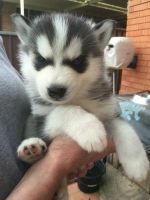 It takes a lot of patience to get through to them, and some people just can't do it.People who live in apartments or small houses should not get a Husky or they will end up with a pet who is often frustrated. Even if they get plenty of exercise outside, a small living space is never going to satisfy a Siberian Husky. 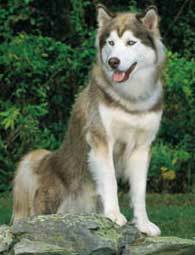 Conclusion: The Siberian Husky is an amazing dog that will live a long, wonderful life as a member of the right family. It's one of those breeds that is amazing to look at, but even more amazing once you see how great it can be when it is given the right care.